While not supporting the exact same level of stars as the previous SFL match-up, outside viewers would be remiss to ignore the potential this game has to surprise everyone. Olathe West has shown as much guts as any team in the state and has proven to be the Sunflower League's best 5A representative in a very long time. Their efforts so far have led them to their shortest road trip of the post-season as they travel across town to St. Thomas Aquinas, who will be covered first. The Saints run the good old-fashioned flexbone as their primary package and thus, do a very good job of spreading touches out among a good number of players. For reference, a whopping 13 different players have scored a rushing touchdown for Aquinas this year. The Owls have had five players score on the ground. St. Thomas Aquinas has no lack of talent on either side of the ball. While St. Thomas uses a lot of players in its schemes, it's no secret who is their go-to runner. With around 1,800 yards, 22TD's and 9.7 yards per carry, #28 Tyron "Tank" Young has lit up the EKL all year as a sophomore. In a more traditional system, who know's what such talent would be capable of. Regardless, Aquinas does a good job to not neglect the rest of its play-makers; leading the remaining seven rushers with 100+ yards are SR Cameron Jackson and JR Charlie McCormick filling in as the main complimentary pieces alongside Young in the backfield. Don't let the powerful running game lead you to believe that passing isn't an option for this team. SR QB Raboin Tate hasn't eclipsed the 1,000 yard mark in yards, but a 12-1 TD:INT ratio shows how efficient he is when called upon. A QBR of 236.1 doesn't hurt matters either and his ability to spread out touches has led to seven different players getting scores through the air. To give the defense some credit this time around, the Saints have proven perfectly adept at keeping scores to a minimum. Through 10 games so far, only an extra talented Bishop-Miege (9-2) team has managed to score more than 14 points against this front. Things have gone so poorly for opposing teams that they average under half as many yards overall than the private Catholic school. Now, on to the underdogs, The "Comeback Kids", the Olathe West Owls. Few schools can claim to have much success starting out. The Owls were not that much different when it came to regular season play against league opponents, going 2-6 over all with a 1-6 record against SFL opponents. Despite keeping most of their losses within a couple score, questions abound on how the team would handle the 5A playoffs. 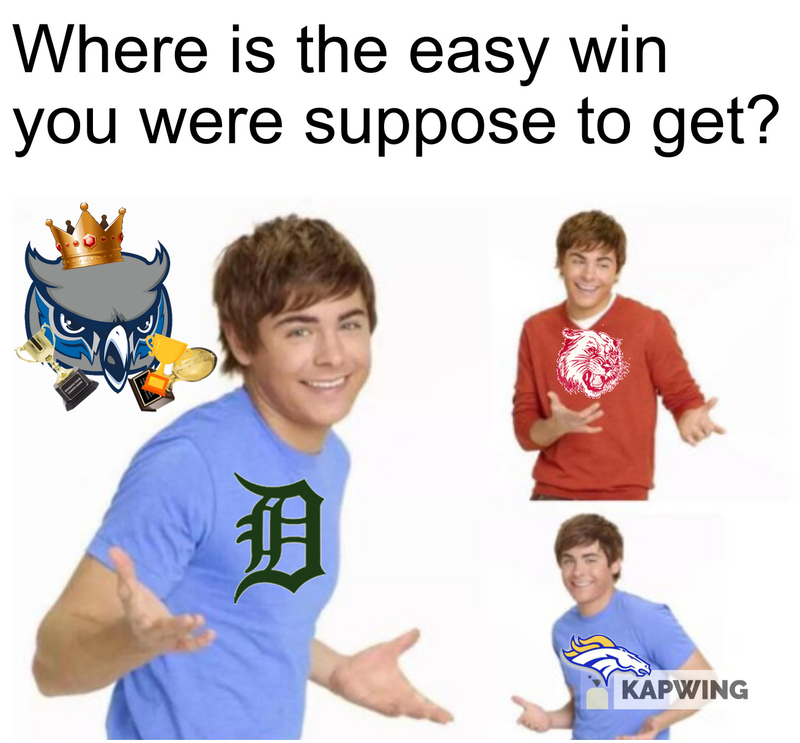 This writer originally predicted the Owls to reach this point, but in reality, a single win against KC Washington (4-5) was considered a high goal. After accomplishing that, a metaphorical spark seemed to ignite the fire within Olathe West as they proceeded to dismantle not just KC Schlagle (6-4) in a blowout, but also keep De Soto (8-3) to a single score. While not sporting the same crazy statistics as any other teams covered this week, a handful of players have established themselves as leaders of the offense. With a more balanced approach compared to typical Kansas teams, the Owls a near even amount of yards through the air and on the ground. SR QB Zac Krause has proven effective with just under 2000 yards passing with 17 TD's to go against 10 INT's on the season. It remains to be seen how much the winter cold will effect his ability to influence the game as usual. On the ground, JR RB Gavin McDaniel has been the primary back, eclipsing 1,000 yards with 10 TD runs to his name. Overall, it's tough to judge what this team will be able to do against another team they aren't expected to compete with. It's hard to say what has even caused this run aside from Olathe West's regular season pitting them against almost exclusively 6A competition, something none of its previous opponents can lay claim to. That isn't the case this time around with the team's first EKL opponent. Frankly, this is likely where the ride ends for the Owls. 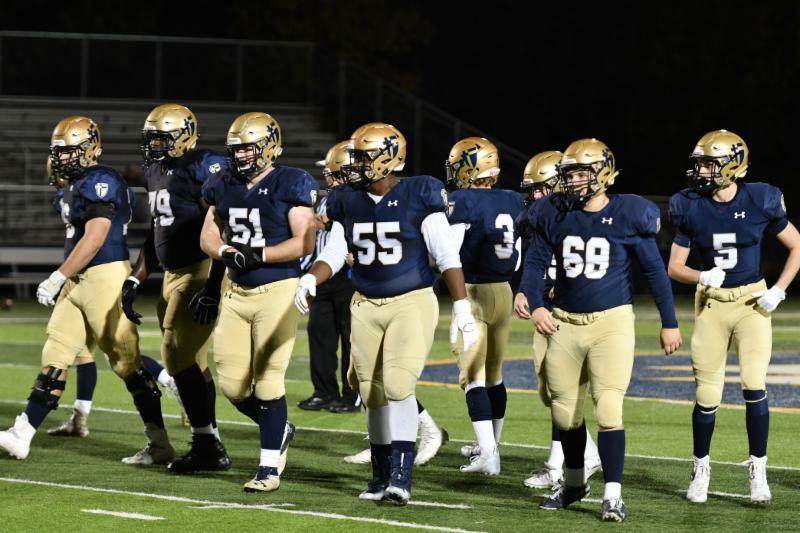 Determination and heart took them far but nothing has so much as slowed this Aquinas team all year and they could be argued as the best team in the state right now. I'm not a pro bookie or anything but I feel to put the Saints as anything less than 14-point favorites would be product of a fantasy. If Olathe West does manage a miracle, expect an endless stream of memes and jokes about it. Final Comment: To think that in the last two years, we've seen an 9-4 state champion and a 5-6 team playing for a championship spot. I will be praying for both Olathe schools to win just so we can all stare in awe at how we reached a point where two Olathe schools could make the state championsip in the same year. Round One Over... Round Two... Start!